Mary is an environmental management professional who has been involved in Landcare and conservation in the Southern Tablelands region for the past 15 years working on a variety of projects including project manager of the Kanangra-Boyd to Wyangala link conservation initiative and K2W Glideways and has recently joined the Rivers of Carbon team on projects around the Goulburn and Yass regions. She manages a small farm on the headwaters of the Lachlan River in Breadalbane NSW with husband and two children. She is passionate about building strong and effective partnerships and empowering communities and individuals to participate in conservation and regenerative agricultural practices. The Kanangra-Boyd to Wyangala Link (K2W) Glideways Program is a community-led connectivity conservation initiative working to restore ecosystem connectivity in the Central Tablelands region of NSW. Connectivity conservation is about inspiring people to work together to deliver integrated on-ground actions focused on maintaining, restoring and reconnecting habitat. We know that when habitats are connected, resilience is boosted and the ability of natural systems to absorb external pressures, adapt to change and recover from disturbance is increased. K2W Glideways brings together conservation and Landcare groups, NRM bodies, public land managers and other stakeholders to coordinate available resources, skills and knowledge to create ‘corridors of effort’ across the landscape to maintain core habitat areas, connect linkages and restore natural dispersal pathways for five arboreal gliding possum species found within the K2W corridor. The program facilitates landholder and local community involvement in citizen science projects that map and monitor glider populations; encourages schools to work with Aboriginal groups in teaching and sharing traditional knowledge; promotes the uptake of private land conservation mechanisms; and, aims to restore large areas of sub-optimal habitat through planting of glider feed species, nest box installation and the management of threatening processes. K2W Glideways ‘corridors of effort’ approach acknowledges the work of local communities and inspires them to act further. 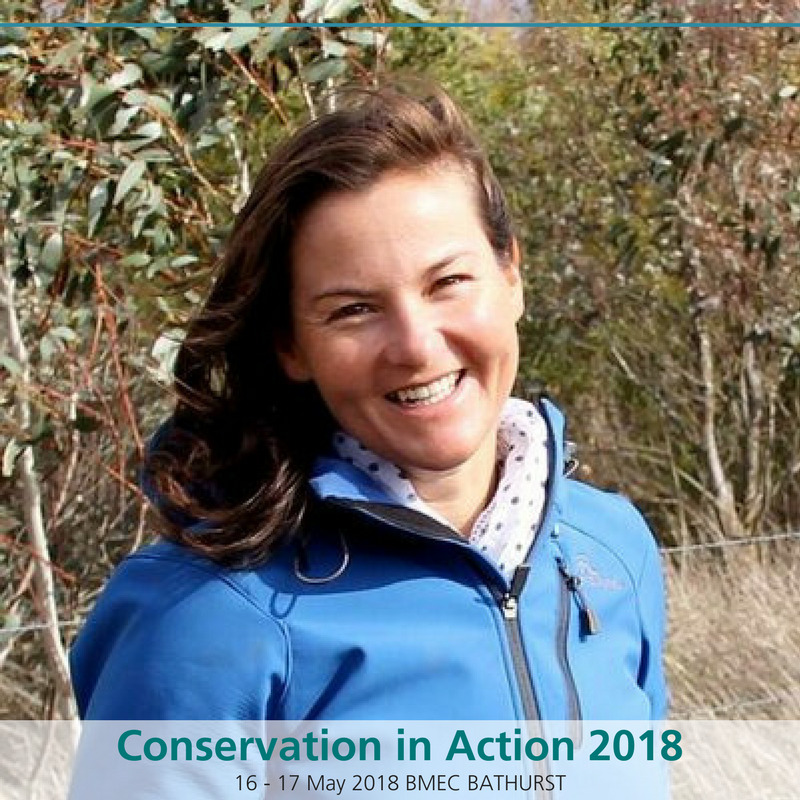 This presentation will talk about the keys to establishing a successful conservation partnership using this method and share stories and insights of how ‘corridors of effort’ could be applied elsewhere to enable meaningful participation in conservation initiatives. Huw Evans completed a degree of Environmental Science at Charles Sturt University. He began his career as a bush regenerator in Sydney working on a number of restoration and revegetation projects. After five years in the private sector and brief stints working as a Field Guide at an eco-resort and supervising environmental projects with unemployed youth, Huw began work as a Catchment Officer for the Hawkesbury-Nepean Catchment Management Authority at Penrith in Western Sydney in 2011. In December 2012 he moved to Lithgow to Project Manage the five year Blue Mountains Biodiversity Project. More recently, he has been part of a consortium of partners who were successful in obtaining funding for a 10-year Saving our Species Project "Swamped By Threats", a project that Huw now manages. Recreating habitat for threatened species involves patience, tenacity, information and adaptability. Where good science is available, evidence-based decisions can be made. However, sometimes social factors combined with a desire to actually do something tangible even in the absence of suitable information will lead to well-intentioned efforts not providing the optimum benefit to the species. Add to this the likelihood that intended outcomes are generally far from immediate and external factors outside the control of those attempting to recover the species can adversely impact success rates, and creating habitat for threatened species can become a very thankless task. These issues will be addressed by reviewing over 20 years of community-driven attempts to recreate habitat for the critically endangered Regent Honeyeater in the Capertee Valley. The reasons for the longevity of the project and future directions for the recovery of the species will also be discussed. Damian joined Professor David Lindenmayer’s research team in 2000 and for the past 18 years has been managing large-scale, long-term biophysical monitoring programs throughout south-eastern Australia. His research focuses on developing ways to better integrate wildlife conservation in agricultural landscapes using themes from restoration ecology and conservation biology. Damian is particularly passionate about improving conservation outcomes for reptiles in human-modified landscapes, and enjoys working closely with Landcare groups, Local Land Services, Catchment Management Authorities, and other NRM organisations to monitor and evaluate the response of birds, possums and reptiles to woodland management interventions. In 2010, Damian was awarded a PhD for his work on reptile ecology and rocky outcrop conservation in southern NSW. 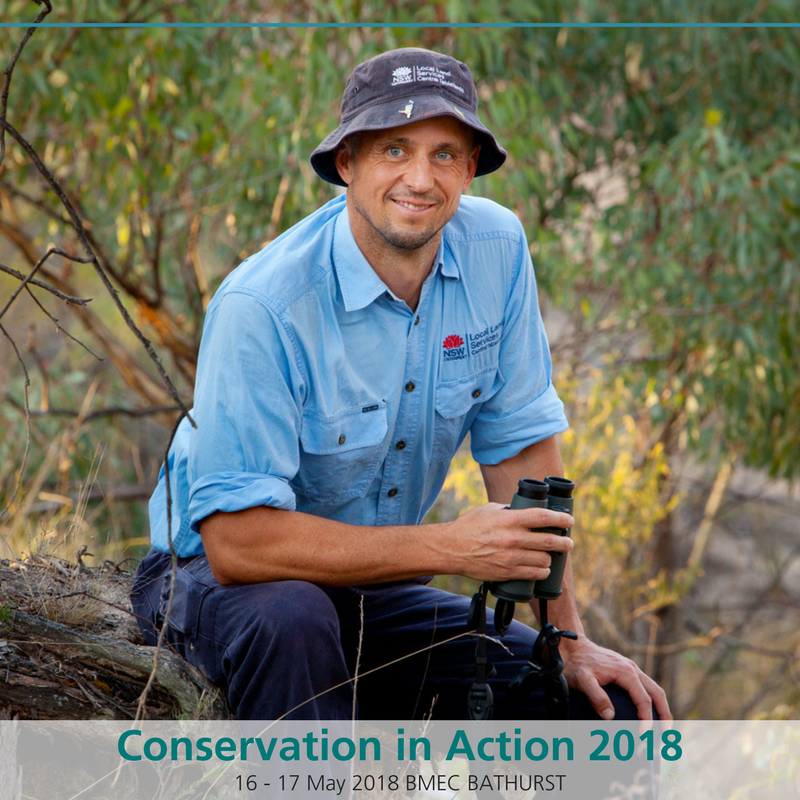 Since joining the team, he has published over 90 scientific papers and six books, including a field guide to the Reptiles of the NSW Murray Catchment, and his latest book titled Rocky Outcrops in Australia: Ecology, Conservation and Management. Over the past two decades, there has been substantial increases in native vegetation cover in some catchments due to changes in grazing regimes and active restoration efforts. In some agricultural regions, landholders have achieved a 15% increase in native vegetation cover. In concert with these significant landscape-scale changes, there also has been long-term commitment by ANU researchers to better understand the distribution and abundance of reptiles in agricultural landscapes, and to specifically evaluate their response to revegetation projects and habitat restoration schemes in the critically endangered Box Gum Grassy Woodland ecological vegetation community in south-eastern Australia. In this presentation, I provide an overview of critical reptile habitats on farms, and present key findings from our long-term monitoring programs designed to evaluate the effectiveness of vegetation restoration projects and woodland management interventions. I discuss what types of ecological tree and shrub planting projects work well, what modifications to agri-environment schemes are required to further benefit reptiles, and what additional ecological restoration projects are needed to enhance reptile diversity and species dispersal ability in heavily modified farming landscapes. Geoff has worked in the environment field for over 23 years at local, regional and state levels. Originally a bush regenerator in northern Sydney, he moved into local government after a brief stint at State Forests. He spent 5 years at Hawkesbury City Council and 3 years at Hornsby Shire Council running local bushland management activities, including bushcare volunteers, community nurseries, and bush regeneration contracts. Moving to the state level he then worked for 8 years as NRM Facilitor and Senior Policy Officer for the Local Government & Shires Association. This included representing local government on a wide variety of environment related issues, and working with councils across the state. For the last 4 1/2 years he has worked as the Senior Team Leader Contestable Grants for the NSW Environmental Trust, overseeing 13 grant funding programs investing approximately $10 million per year. Presentation: What's inside the Black Box? Ever wondered how the NSW Environmental Trust decides on what and who to fund? What about, why their programs are focussed on some issues and not others? Or maybe, why are some projects funded for 2 years and others for 6 years? Maybe, maybe not, but you’ve definitely thought … what can I do to have a better chance of getting more funding? Well, hopefully this presentation will shed some light inside the black box, and explain how and why the Trust makes its funding decisions, at both a program and project scale. It will also provide some tips on the things you can do to give your group the best opportunity to be successful in applying for funds.